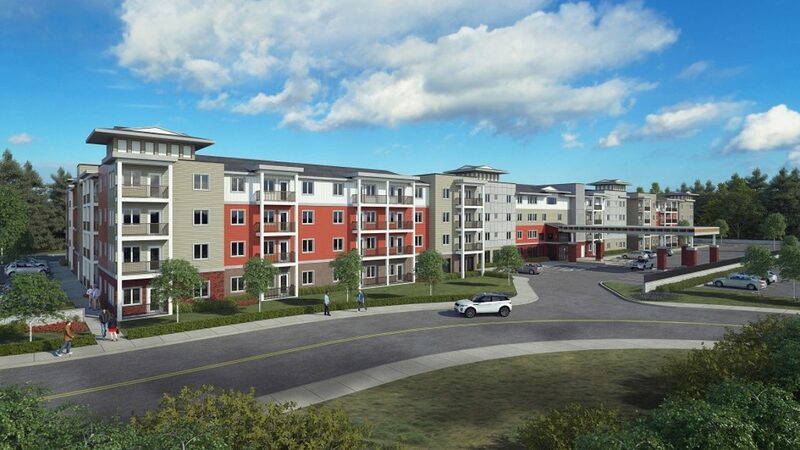 AMWA Development, Inc., announced that it closed financing and will start construction on 255 new affordable apartments for seniors in the Smokey Point community of Arlington, Washington. located at 17309 40th Avenue, Arlington, WA 98223. Cedar Pointe is a luxury 55+ apartment community being constructed on a 4.05-acre site in a single, four-story elevator building with 175 one-bedroom units and 80 two-bedroom units, including a one-bedroom manager’s unit. Once completed, Cedar Pointe’s 1 and 2 bedroom apartment homes will feature modern appliances including washer and more. All units will be affordable to seniors earning 60% of the Area Median Income. Interior community spaces will include a leasing office, community room, media room, exercise room, two private dining rooms, and a business center. The development will be located near shopping, recreation, transportation and other services. Construction is being overseen by AMWA Construction, Inc. The community is set to be completed in August 2020 and will be managed by FPI Management, Inc.
Cedar Pointe is the first real estate development project in Washington for AMWA Development, Inc., an independently owned and operated affiliate of AMCAL, a Southern California-based real estate development organization. AMWA Development, Inc., is an independently owned and operated affiliate of AMCAL, a leading group of allied real estate companies. Founded in 1978, AMCAL and its affiliates have developed more than $1.5 billion in multifamily residential properties consisting of more than 6,500 units in California, Texas, Washington, Arizona and Louisiana, including affordable housing, luxury apartment housing and student housing.